Open concept corner unit condo with attached 1 car garage. The spacious floorplan offers a large family room area with corner windows and views of the mountains. Neutral paint colors, recessed lighting, and white wood blinds make this home move in ready! The large kitchen island is open to the dining and living area with counters that accommodate a bar seating area. Just off the dining room there is a private balcony for your grill or morning cup of coffee. The master bedroom is HUGE and bright with a large en-suite bathroom. You will also find a roomy second bedroom and bathroom, laundry area, and plenty of storage on the main level. Walking distance to miles of walking paths and biking trails. 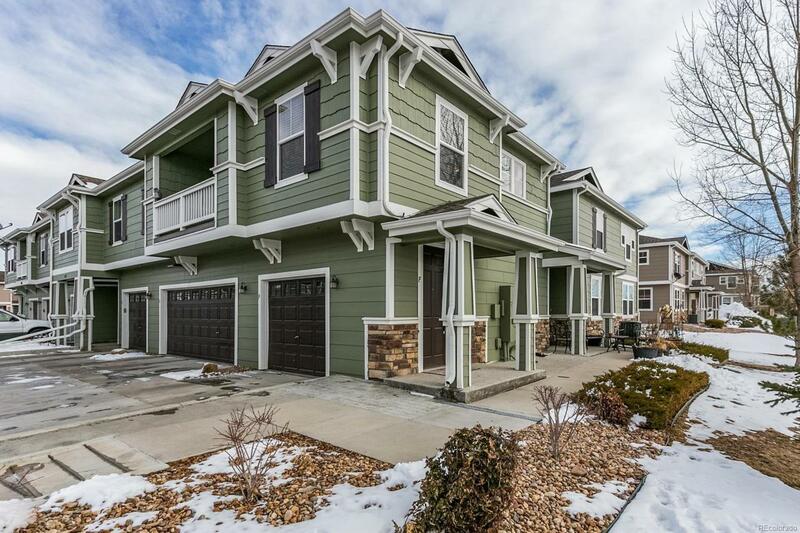 Easy access to 470, the Denver Tech Center, and Park Meadows Mall, and light rail. Association Name Primary Prairie Meadows Condominium Association Inc.